CONOR GETS ARRESTED AGAIN! PHONE RAGE! JONES READY FOR SMITH AND WOODLEY SET FOR USMAN AT UFC 235! Two big fight announcements are circling in early 2019 for the UFC as it seems that Jon Jones is already set to face Anthony Smith after the two had a verbal disagreement on air recently. UFC 235 March 2nd for that one in Las Vegas as long as Jones can get his licence. JONES ENDS 2018 ON A HIGH AND NUNES BRUTALLY FINISHES CYBORG! LESLIE SMITH KEEPS DRIVING FIGHTER RIGHTS INTO THE MAINSTREAM! I have a lot of respect for Leslie Smith, if there was an MMA union tomorrow she would be a big player in it. I see her as the queen of fighter rights, being more vocal in her career then most fighters male or female. I salute you Leslie, keep the fire burning! ANDERSON VS ADESANYA? I DON’T KNOW ABOUT THIS! This announcement today makes me uneasy – ok sure it will be a display of amazing striking skills we see when Legendary Anderson Silva faces off against up and coming phenom Israel Adesanya at UFC 234 according to MMAFighting. But im not really happy about this as I fear Adesanya who is basically a young Anderson Silva, will only go and completely destroy the ageing and well past his prime Anderson Silva. What do you think? UFC 229: KHABIB VS MCGREGOR FALLOUT! Well it likely is going to be the biggest UFC Pay Per view event in UFC history, and if you don’t know by now Khabib beat Conor in the main event at UFC 229 via 4th round rear naked choke/neck crank. UFC 229 CONOR VS KHABIB PRESS CONFERENCE NEXT WEEK! I know you are desperate to see this fight, well a few hours ago MMA journalists broke the news that Conor McGregor and Khabib Nurmagomedov are scheduled to have a press conference next week in NYC! STACKS OF HUGE FIGHTS COMING AND CONOR VS KHABIB CONFIRMED! MICHEAL BISPING RETIRES FROM MMA! Its been a long road but the former UFC Middleweight champion Michael Bisping has had an incredibly storied 14 year career in MMA – a career which he announced he will retire from asap on his podcast, Believe you me. THE WORLD OF MMA RETURNS! CIGANO CLEARED TO FIGHT AGAIN! Its been a while, but finally former UFC Heavyweight champion Junior Dos Santos has been cleared from a suspension on the grounds of a tainted supplement, so we will be seeing him back in the octagon real soon! UFC heavyweight Junior dos Santos is cleared to compete again, effective immediately. USADA has confirmed his failed drug test last August was caused by a contaminated supplement. He's accepted a six-month suspension, which is already over since the test was eight months ago. IAQUINTA IN TITLE BOUT VS NURMAGOMEDOV AT UFC 223!? FERGUSON OUT OF UFC 223 TITLE FIGHT!! DOS ANJOS VS COVINGTON IN THE WORKS FOR UFC 224! GERVONTA DAVIS FIGHTING IN MMA? This time on the world of MMA we focus on UFC 221 results, Floyd Mayweather in MMA and upcoming MMA events, so get all that and more right HERE. Stipe Miocic, Daniel Cormier, Cain Velasquez, Eddie Alvarez, Al Iaquinta and more, so watch and enjoy right here at the MMAGateway! Today on the The World of MMA we discuss a whole host of different topics so watch share, subscribe and enjoy! RONDA ROUSEY SIGNS TO THE WWE! THE END OF HER MMA CAREER? THE WORLD OF MMA PART 1! In our new video series looking at a general overview of the world of MMA right now Marley Dawkins speaks about UFC 220, Francis Ngannou vs Stipe Miocic, Khabib vs Conor, Ferguson, 155, Jeremy Stephens vs Doo Ho Choi and more! JUSTIN WREN ON THE JOE ROGAN PODCAST! COLBY COVINGTON PRESSES CHARGES ON FABRICIO WERDUM FOR ASSAULT! FRANKIE OUT OF UFC 218! JOSE ALDO STEPS IN AS LATE REPLACEMENT! HOURS AWAY FROM UFC: 217 AND IM HYPED! If your as excited for UFC: 217 as me, then you must be watching all the videos, interviews and promos in this fight week. Dude Conor hits harder then you ever have – he will beat you in a boxing match and seriously don't think about MMA he will dismantle you. 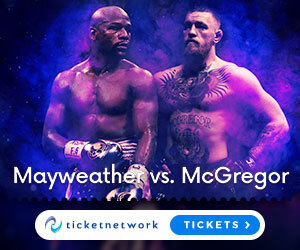 Ever since we had the historic McGregor vs Mayweather Boxing match back in August, the topic of Money Fights is becoming more popular, but is everyone happy with this? Read all about it in our latest post right HERE. MCGREGOR VS MAYWEATHER – YES ITS FINALLY OFFICIAL!! Ok words can’t describe how excited I am about this fight but after months and months of beef between the two men, we now know that its going down on August 26th at the T-Mobile arena in the legendary Las Vegas, Nevada! Read all about Right HERE. ALVAREZ VS POIRIER REMATCH BACK ON? If you enjoyed the Poirier-Alvarez fight the good news is UFC wants to run it back ASAP, sources say. Too soon to say when, though. JON JONES GEARING UP FOR HIS COMEBACK? UFC 211: MIOCIC VS DOS SANTOS II TICKETS HERE!! What upcoming UFC card are you looking forward to seeing the most? Well for me UFC 211 is one I’m REALLY excited for, and if you need a breakdown of the fights and ticket information, then read my post. GEORGES ST. PIERRE RETURN IS OFFICIAL! Well I’m not going to claim that you heard it here first, but as of last week it is official that GSP is back, so read all about that right NOW. Did you miss the action at UFC 208? Well get the results right HERE. CONOR MCGREGOR LIVE IN MANCHESTER! Want to meet Conor McGregor? Well in that case you better read my latest post on the awesome upcoming event in Manchester, England on January 28th, where fans from all over the world will be able to have a great evening with the Notorious one – check it out. Well if you are still shocked by what happened to Ronda Rousey at UFC 207 this past weekend, then you better keep reading HERE. So you might have heard that “The Karate hottie” Michelle Waterson, is going to be facing Paige VanZant at UFC on Fox 22 on December 17th. Maybe you can see there’s a bit of an issue here, so read my article. If you’ve been wondering when we will see Ronda Rousey back in the UFC octagon again, well lets just say you need to read THIS ARTICLE. Well i could have told you this in July when i heard WME -IMG bought the UFC for $4 Billion, because their business is celebrities, and we have some new eyebrow raising shareholders in the UFC – Read the full story HERE! For this weeks podcast we stop by to Sherdog for their excellent Roundtable podcast with Jordan Breen, as callers call in, and the MMA discussions get down to the nitty gritty of this industry, and you can hear it all HERE! Read my full article HERE to get the full story! At the MMA Gateway we are starting a new series where we will review the best up and coming martial artists in the world of MMA – In this first episode we take a closer look at one of the UKs fastest growing stars Paddy “The Baddy” Pimblett. Read my full article HERE! So on top of sharing all the most up to date news stories pertaining to the world of MMA, here at the MMA Gateway every Thursday we share a podcast from a hand selected list of the most professional podcasts covering the sport of MMA. This week we start with one of the most well known shows in the industry – the MMA Beat, in today’s episode we join Ariel Helwani, Chuck Mindenhall, Jeff Waggenheim and Danny Seguro as they cover various topics such as the upcoming Madison Square Garden event, Conor Mcgregor, Fighter Pay, Cristiane Cyborg Justino, Chael Sonnen and more – catch the whole show here! Contract disputes is becoming more and more of a highlight topic within the realms of MMA and specifically the UFC, especially when considering the scale of their $4 Billion dollar sale of the UFC to WME-IMG back in July. More fighters are becoming vocal about how low their pay is to perform, and it is highlighted in one of clearest ways possible that ive seen thus far regarding Al Iaquinta refusing to fight in the upcoming Madison Square Gardens event on November 12th due to not getting enough money. Now considering that Al Iaquinta was born in New York, and is a passionate fighter with most of his fanbase being in the New York area, it really is a bad look for the UFC to have a fighter pull off the card for reasons like this, and actually go and do another job in real estate, because in his words he stated that if he were to be injured and lose in the upcoming contest, he would essentially be fighting for free. Fighters nowadays are becoming much more informed about the business side of MMA and looking to get the best deal possible, which i am 100% in favour of, because these are the men and women that we all tune in to see, the Martial Artists, not the suits running the company. Now if we look at actions in recent years from various fighters like Nick Diaz, Connor Mcgregor, Chael Sonnen and others, we can clearly see that more fighters are putting their foot down with the UFC, and there is a general push for utilising the free market as leverage when negotiating new contracts. People say a Union is needed, but from the perspective of simple economics, the amount fighters receive as their purse should very simply be increased. Al Iaquinta is standing up for his rights as a human being, and i hope an improved contract will be given to him and he will remain on the Maddison Square Garden card in November. The issue of fighter pay in general though has no end in sight currently, so expect more fighters to stand up for their financial and physical wellbeing, and here about it all here at MMA Gateway. Its the first time UFC comes to Hidalgo Texas today on Saturday the 17th, and while on paper the card may be lacking in star power, it is clear that the structuring of the bouts should be action packed. Poirier vs. Johnson should almost guarantee to deliver on quality of MMA and both fighters will likely be pushing the pace and looking for a finish as is the nature of both contestants. Also in the Co main event, Uriah Hall vs. Derek Brunson is a fascinating contest, where Brunson has the chance to extend his 4 fight win streak by getting a win over a highly touted and respected opponent in Uriah Hall. Read this excellent break down by Chuck Mindenhall at mmafighting.